So I failed in my quest. I wanted to do NaNoWriMo and post every day in November. Well, I am writing :) But the posting got to be too much, so I decided to take it easy. 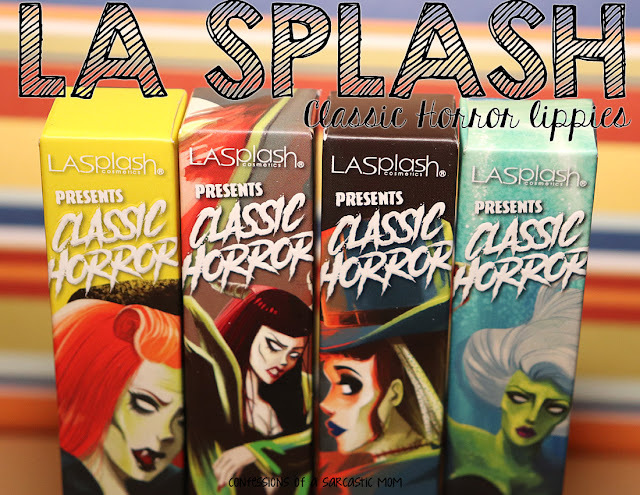 But I do have some pretties for you today! 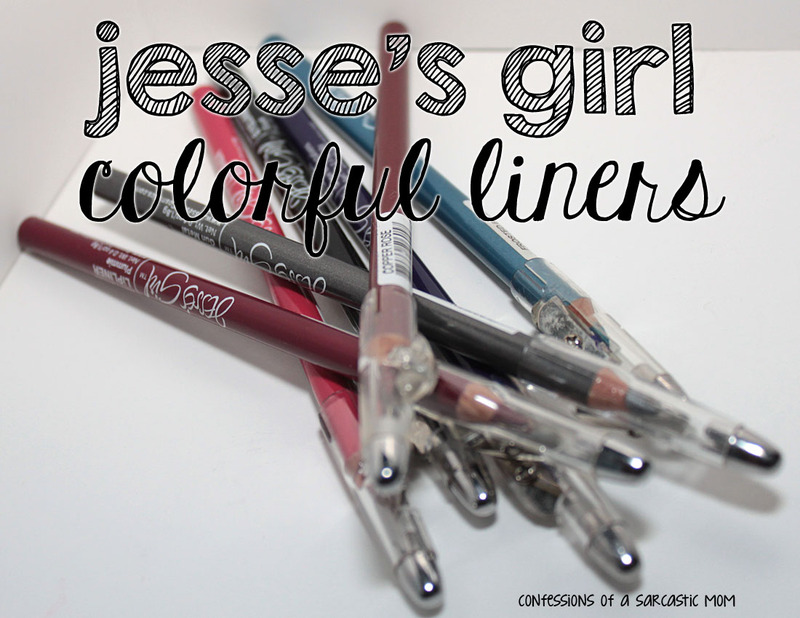 I have several eyeliners and lipliners from Jesse's Girl, so I figured I could share them with you today! 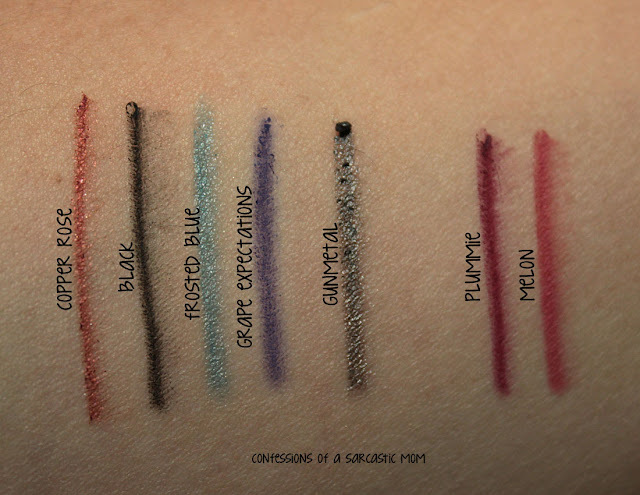 I do use these eyeliners a lot! Sometimes, my easiest looks are a white eye shadow pencil and a colored liner - my favorite combo is a blue liner with white shadow. 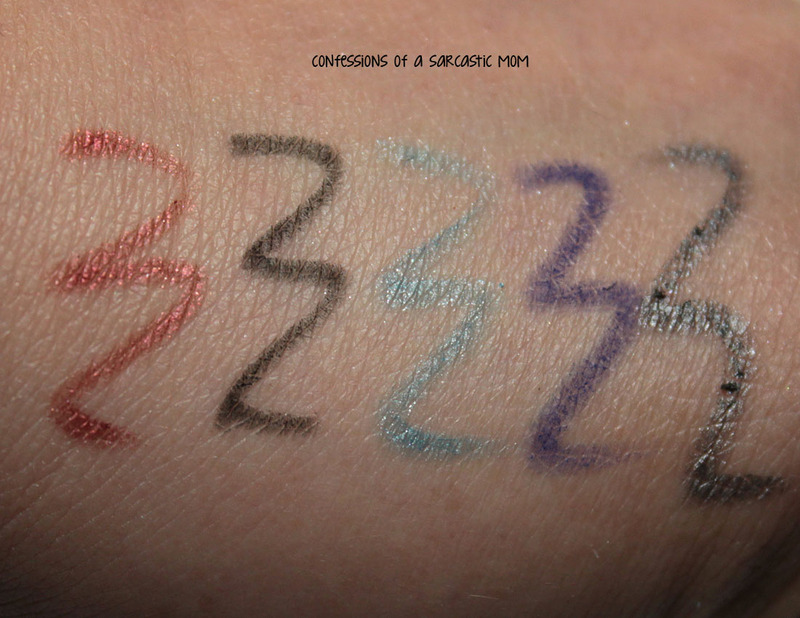 These liners have great pigmentation. They can smudge a little when they are freshly put on (see Black), and for me, that's the only drawback. They are smooth and bendable. They go with the flow and do whatever you want them to! 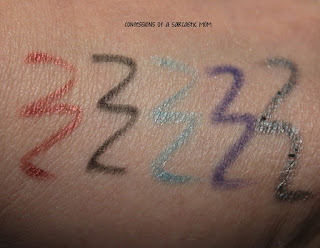 Below you can see some pictures with squigglies so you can see for yourself how easily they maneuver. These are only $1.99! You can check out the ones I've featured (and all the other shades) on the Jesse's Girl website. They are also available at Rite Aid.